Let’s be real–standard lunchtime fare is not all that keto-friendly. I mean, how do you make a PB&J low-carb? Salads are the pretty obvious alternative, but they don’t have to be boring. I’ve been honing my salad-making skillz for years, even prior to adopting a low-carb lifestyle. Scroll on down to see a few examples of what I like to eat for lunch these days. What are some of your favorite low-carb lunch ideas? Happy Mother’s Day to any moms reading out there! My son and husband gave me a new phone in honor of the occasion, so I thought I would give it a test run for filming videos this afternoon. I happen to have gone grocery shopping at my local Target a few days ago, so I thought I would share some new-to-me, keto-friendly products you might be interested in trying. Click the video below for details! Breakfast is definitely my most rushed meal of the day. Sure, I could get up earlier so as to enjoy my meal at a leisurely pace…but I know myself, and I will always choose more sleep. So instead, I’ve come up with a few quick and easy keto breakfast ideas that I can prepare ahead of time, making my mornings go much more smoothly. Check out the video below for full details! What are some of your favorite breakfast ideas? In my experience, success with any style of eating largely depends on planning. As cliche as it is, that saying “fail to plan and plan to fail” rings true in this situation. I know that when I come home from work in a hangry state, the last thing I want to do is chop up a head of cauliflower and cook the chicken and control my tornado of a toddler. So, if I clean and chop the veggies ahead of time, I can at least eliminate one of those things from the weeknight chaos. In the video below, I share what my weekly ingredient preparation looks like for a keto diet. Feel free to leave your own tips and tricks in the comments below! In my last grocery haul post, I showed you a typical week’s worth of food from Trader Joes’ and Publix. The other two grocery stores I frequently shop at are Aldi and Whole Foods. I get made fun of for this particular combination of grocery shopping, as the two stores are kind of at opposite ends of the spectrum, with Aldi being a prominent “discount” chain and Whole Foods being exactly the opposite. But, I like to think that the two balance each other out–I’m able to get good deals on most of the things I need at Aldi, which saves room in my budget for the specialty items I like at Whole Foods. -unsweetened almond milk: A Keto RD staple. I use it in coffee, spinach smoothies, and just drink it straight (particularly when I’m snacking on fat bombs). -eggs: Another staple. We tend to go through a lot anyway, but particularly when I make low-carb fluffy pancakes. -shredded mozzarella: This will likely end up in an all-veggie pizza or lasagna. -variety pack cheese snacks: I usually send my son Caleb to daycare with these (cut into cubes), but I’ll be honest and say that I snack on them pretty often too. The usual suspects from the produce aisle. I got some good deals on the organic spinach (gigantic container for less than $5) and those hefty zucchini ($1.49 for all three). Aldi also tends to have the best price on cauliflower ($1.99 per head). -sliced smoked turkey: This sliced turkey is definitely the best I’ve tried from the packaged section. Fresh from the deli is always better, but it’s also pretty expensive. All three of us use this for lunches during the week. -fresh chicken: I don’t trust Aldi’s fresh meat section, so I always buy our meat elsewhere (usually Whole Foods or Publix). I find that splitting one of those breasts between Seth and me provides plenty of protein for a meal, so I freeze the rest in separate baggies. -no-salt-added chunk tuna: Alright, I’m pretty picky about my canned tuna. Almost all brands pack them in a broth that includes soy. I try to avoid soy (I think it interferes with my thyroid regulation, plus the general health effects are bit mixed). So in order to avoid said soy, I’m largely limited to no-salt-added varieties (that don’t use a broth). Whole Foods has the best price ($1.69 per can, as opposed to $2+ at Publix). -frozen raw shrimp: Aldi has a pretty good selection of frozen fish, and the brand they sell appears to make efforts to use sustainable fishing practices (it’s hard to see, but there’s a seal that says “best aquaculture practices certified”). These will be used to make a coconut-crusted shrimp, per Seth’s request. -pine nut hummus: Our preferred flavor of store-bought hummus. I don’t consume nearly as much of this as I did in my vegan/vegetarian days, but I still use it on occasion as a dressing for tuna or chicken salad. -coconut flakes: I have plans of trying to make a keto-friendly granola using these and some walnuts. -lily’s chocolate chips: These are stevia-sweetened chocolate chips. I’ve tried this company’s chocolate bars (and LOVE them), so when I saw these on sale, I figured I’d give them a whirl. They might make their way into a homemade trail mix blend. -almonds, pistachios, peanuts: Our go-to snacks. -Brazil nuts: I had a craving for these out of the blue, so I just grabbed a quarter pound from the bulk section at Whole Foods. They’re raw, so I’m thinking of roasting and salting them a bit. -coconut oil: Aldi has a pretty decent price for organic coconut oil–$4.49 for a 16 oz jar. -goddess dressing: This tastes exactly like the Annie’s version, and it’s two bucks cheaper. -roasted red pepper pesto: We usually use this for salmon or as a sauce for zoodles. -peanut butter and ground coffee: Both necessities for my general happiness. As always, feel free to leave a comment or question below! Happy Friday, everyone! I started to put together a post detailing the basis of a ketogenic diet…but realized that’s already been done quite effectively by others. So instead, I’m sharing a list of my top three resources that are a great starting point for those researching the ketogenic lifestyle. Click on the video below for the details! One of the most common complaints I hear from the research participants I’ve worked with is that they get bored with keto-friendly foods quickly. Evidently, scrambled eggs are appealing for only so long. I usually recommend checking out the KetoDiet blog, Keto Connect, or The Ketogenic Diet Cookbook. Then again, there’s always Pinterest, which is generally my preferred source for meal planning inspiration. These pancakes live up to their name–the secret is the whipped egg whites! I like that this recipe does not rely on protein powder as the base. I served them with coconut butter drizzled on top. This was intended to be a twist on my beloved BLAT (bacon, lettuce, avocado, and tomato) sandwiches, just in zucchini noodle form. It was pretty dang tasty, so perhaps I’ll post the recipe in the future. I’ve always been a fan of mustard + salmon as a flavor duo; I just added a crushed pecan topping for some added fat. Nothing fancy here–just salmon, dijon mustard, and chopped pecans. We generally order Chinese takeout every Friday night. It’s hard to guess if there’s sugar in any of the sauces for Chinese dishes, so I usually order from the “spa menu”–which just translates to steamed veggies & a protein, with the sauce on the side. The sauce provided doesn’t taste overly sweet, but it is insanely salty! I like to add some fat with a handful of cashews and a drizzle of toasted sesame oil. What was on the menu at your house this week? I’ve also recently discovered the joys of “grocery haul” videos on YouTube, particularly those for keto diet adherents. So in a similar vein, I thought I would share a recent grocery haul of my own. Bear in mind that I do share a household with my husband and one-year-old son, who are not following a ketogenic diet. This particular week was also the first time in a while that I had shopped at Trader Joe’s, so there are a number of new-to-me products that I can’t say if I recommend yet. -unsweetened almond milk: Frankly, I drink a lot of this. I know some people aren’t a fan of some of the additives, but it satisfies a lot of my criteria: I like the taste, it’s low in carbs, and it delivers a hefty dose of calcium. -coconut creamer: An impulse purchase–haven’t tried it yet. (5 cals and 1g carb per tablespoon). -friendship cottage cheese: Technically, this item by itself is a little high in protein and low in fat to be keto-friendly, but I love it enough that I don’t care. The texture is perfect (ever so slightly dry, with small curds), and the carb count is relatively low (4g per half-cup serving). Publix doesn’t sell a full-fat version, so I stick with the 1% milk fat. I usually eat it with nuts or nut butter on top, so it all balances out in the end. -shredded cheddar: This is mostly used for scrambled eggs in our house. Sometimes the pre-shredded cheeses have potato starch added to prevent clumping, so if you’re a keto purist, you might want to shred your own. -slicing brie: My husband Seth and I are on a bit of a Brie kick these days. I’ve never tried this particular kind, but the brick as opposed to the wheel seemed like it could be more practical. -eggs: Yes, that’s three dozen eggs you see. We eat a lot of them, obviously. I hard-boil a dozen every week for snacking and salad-topping. Seth and my 1-year-old eat scrambled eggs for breakfast most days too. The produce you see here is pretty typical–we buy most of these things on a weekly basis. One thing I won’t skimp on is vegetables. Sure, they have carbs, but they have so much more to offer, nutrition-wise; plus, I just love them. I eat small amounts of berries on occasion (for the same reason), but honestly, my toddler ends up eating most of them. All of these items are new to me, except for the sriracha hummus. -uncured turkey bacon: I’m thinking Cobb salads need to happen this week. -roasted chicken strips + turkey breast: I’ve seen these on other blogs, so I wanted to give them a try. I usually buy a pound of deli meat each week, but I bought these instead this time–they seem like easy protein options for salads. Word to the wise, the turkey breast does have 1g carbohydrate per 3-oz serving (due to the seasoning). -uncured pepperoni: The husband has been requesting pizza night, so we’ll see if we can make a keto-friendly version with these as the topping. -polar seltzer: I love this brand of seltzer. It’s not as widely available down South for some reason (seems to be a New England thing? ), but Publix recently started carrying it. Even better, they were on sale, 3 for $8! -simply lite dark chocolate: I’ve gotten into the habit of buying myself some sort of dark chocolate on a regular basis. I saw this brand on another blog, and I was intrigued. It does contain sugar alcohols, which I’m not a huge fan of, but the two squares I had while typing up this post were tasty enough. 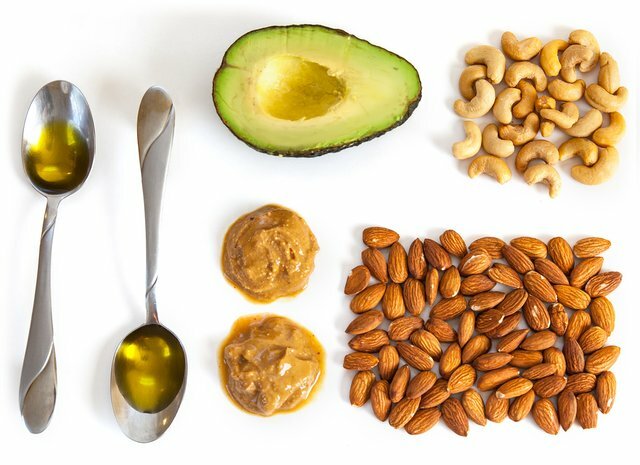 -peanuts, almonds, macadamias: These are items that keto purists would also disapprove of, but much like vegetables, nuts are one thing I can’t live without. Trader Joe’s has decent prices on them, particularly on macadamias. A bag that size at a traditional grocery store would sell for $15 easily, whereas TJ’s sells them for $8.99. -ground coffee: new flavor, chocolate cappuccino. Seth will probably whine about it, but whatever–I do the grocery shopping, dangit. -marinara: surprisingly low in carbs–6g (1g fiber) per half-cup serving. This will likely be used for the aforementioned pizza night. -coconut oil spray, hot sauce, pink salt: items advertised or seen elsewhere that piqued my interest. I’m such a sucker. -peanut butter: peanut butter is my life force. This Trader Joe’s version is one of the few that is salty enough for my taste. Remember, you needs lots of salt on keto! I’d love to hear if you have any interesting grocery finds lately–leave a comment below! Hello, all ( or maybe just my dad? )–today I’d like to share a video I put together in which I discuss how I became interested in ketogenic diets. I’m no cinematographer (I literally had to Google how to use the record function on my camera), so don’t expect anything fancy from my vlogs at this point. But, I know that I appreciate when bloggers use a variety of formats to convey information, so I thought I’d give something other than text a try. So how did you become interested in ketogenic diets? Despite all that emphasis on science, I do intend on making this a fun space. I love food, and I blogged elsewhere for almost ten years (The Broccoli Hut–the site is no longer active, although I think the early days are still preserved as a blogspot address. Don’t judge me for the content you might find there!). As a result, making recipes, grocery shopping, and generally talking about food has been a hobby of mine for a while; I suppose I’m in the right profession then, huh? I’m not quite sure where to begin on this new blogging adventure, so let me know in the comments what you’d like to see in future posts. I’m pondering the idea of stealing borrowing my husband’s GoPro camera too, if video posts are of interest.